In addition to designing the layout of this Zest holiday ad, Generate Design also photographed the festive decor featured on the page. The asymmetrical grid layout gives the advertisement an aesthetically pleasing look that allows a viewers eye to traverse the page easily. 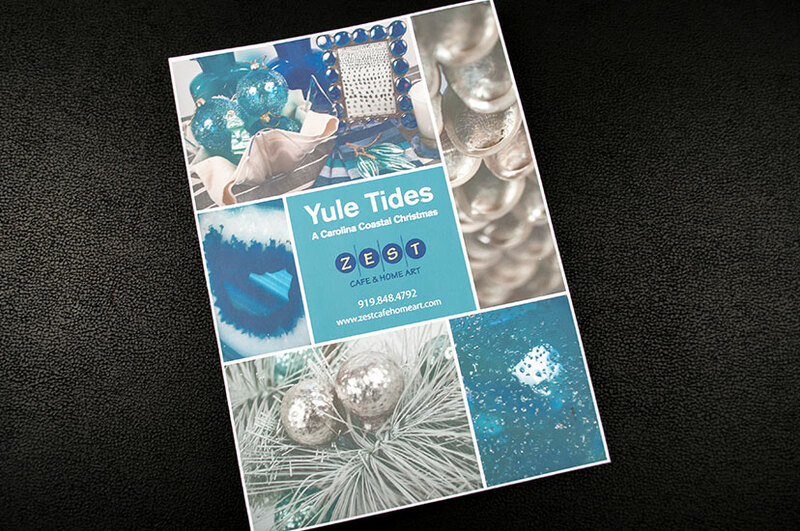 We refreshed the idea of a holiday ad by steering away from reds and greens and choosing a cool, blue color palette that conveys a more relaxed and serene tone. The photographs featured are taken in a more avant-garde fashion, giving the ad an overall modern feel. This ad definitely gives new life to the holidays.